I am a reliable and professional individual who is starting my own small business i have spent many years in the cleaning industry and have decided to start up on my own. 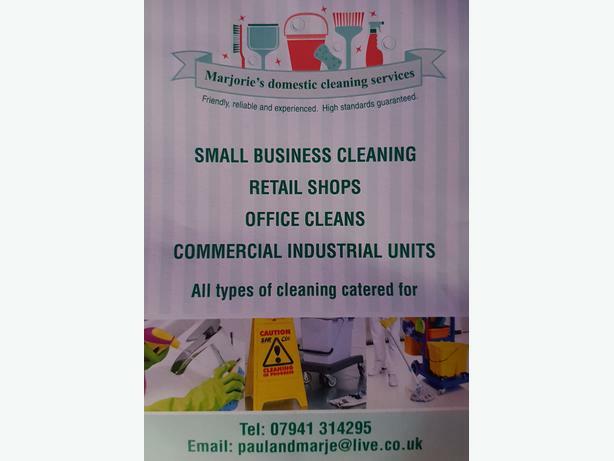 I currently have some clients but would like to expand i will clean houses and businesses and will travel to rural areas also i can provide cover for company's if needed. I will work as many hours as required. Please contact me for more information through email or by phone between 9 am to 8 pm all week Thank you Marjorie.